There is a great deal of confusion about what scooters, motorscooters, mopeds, or mobility scooters are. This is an attempt to clarify the issue, or at least to define clearly the disagreements that exist. All of the motorscooter covered here use the 4-stroke engine and stepless automatic transmission combination that has become the global standard in motorscooters. Motorscooters with less than 50cc engine displacement and a maximum speed of about 35 MPH (See 50cc Motorscooters) are extremely economical and perfectly adaquate for many purposes. These Minimalist scooters are the only gas-driven motorscooters that can truly be called "Mopeds", though the term is increasingly used in reference to larger motorscooters (See Mopeds). 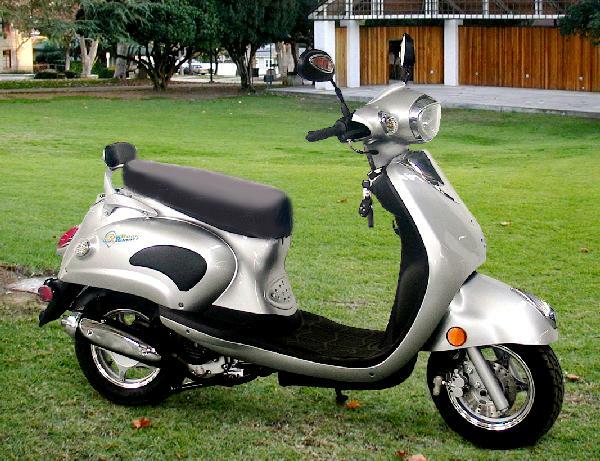 In many jurisdictions, 50cc motorscooters are exempt from state laws governing motor vehicles and no license nor registrations is required (though there is usually an age limit). This is not the case in California, and some other states however. See State Regulations. 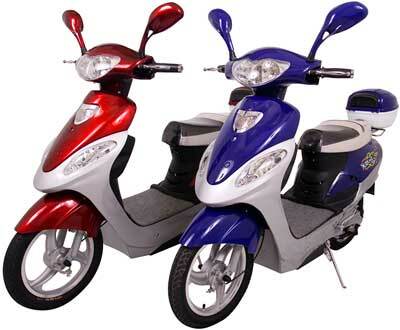 Basic Motorscooters are those which have engine displacement of more than 50cc up to 150cc or more. They are usually highway legal but often not quite heavy or fast enough to be comfortable driving at freeway speeds. They can handle two riders. Though often incorrectly designated "Mopeds," this designation has become fairly universal (See Moped Scooters). Performance motorscooters are those whose performance has been enhanced with custom features which increase power and speed. Their engines may have 150cc, 250cc or greater displacement. 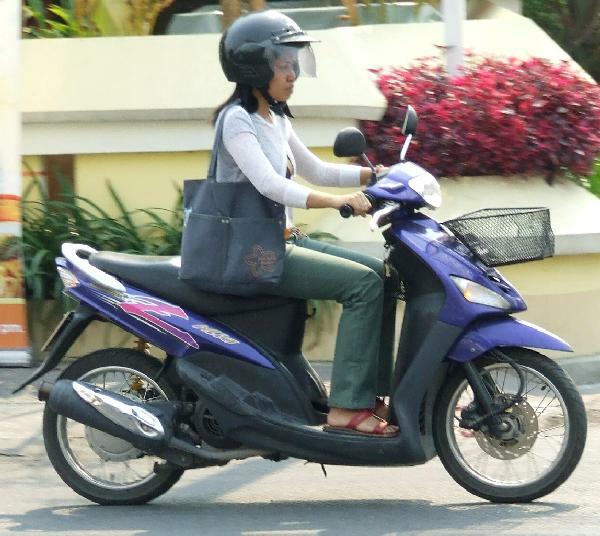 Sometimes called Race or Racing scooters, they are more powerful than basic and minimalist scooters. See Performance Scooters. These are also erroneously referred to as Mopeds. 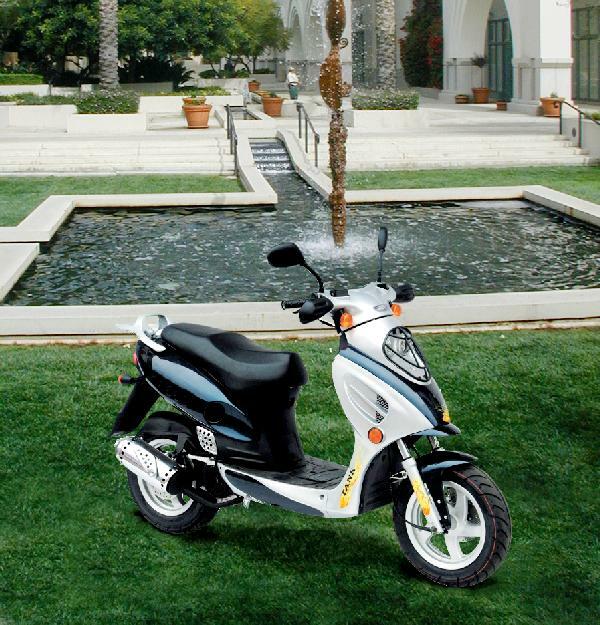 Luxury Motorscooters are those which emphasize comfort, space, and features. 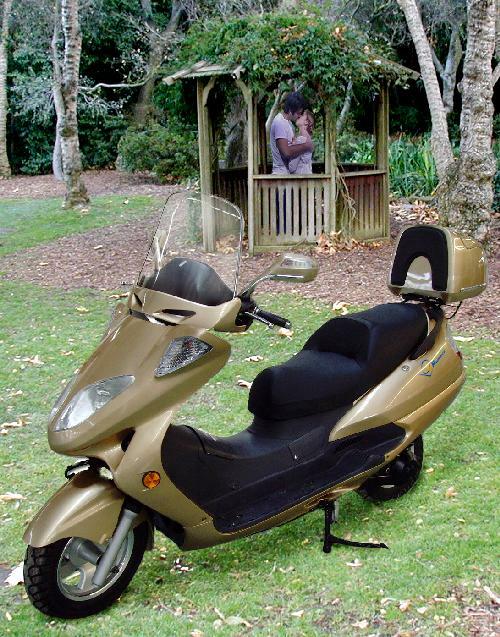 Often designated "Touring Scooters", they frequently have sound systems built in and usually have a raised pillion seat to enable the passenger to have a good view. 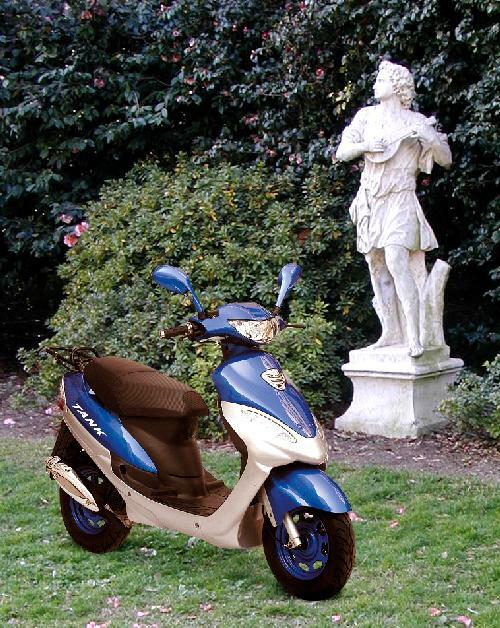 Luxury Motorscooters have engines of 150, 250, or more displacement. See Luxury Scooters. Not to be confused with mobility scooters (see below), electric motorscooters are street legal machines that run entirely on battery power. Some of the smaller ones qualify as Mopeds or electric bicycles and need no license nor registration, even in California. Others are quite powerful and can carry two people at street speeds. See Electric Motorscooters. Classic motorscooters are those which either date back to the scooters of the 50s and 60s or that mimic the design of scooters from that period. 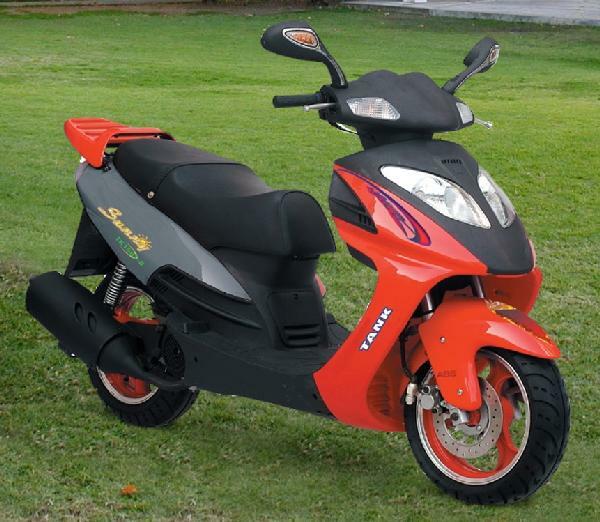 Any sized scooter may be made in this classic design which tends to include a distinct separate front mudgard, and whose engine and drive train are completely enclosed in panneling. See Classic Motorscooters. Unlike the scooters defined above, mobility scooters are not intended for open road transportation and generally have a top speed of 5 or 6 MPH. They do not require a license and are designed to provide powerful transport for individuals unable to walk or who lack the endurance to walk significant distances. Unlike the above scooters, mobility scooters may be driven on sidewalks, in an out of buildings, and on and off of public transportation. 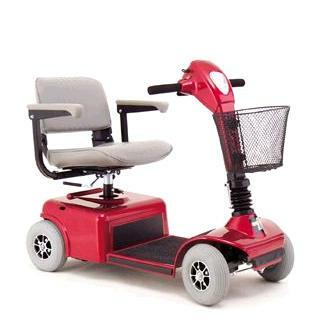 They play a very important role in allowing the elderly and handicapped a very flexible means of mobility. See Mobility Scooters. A shoulder bag for cargo leaves room for passengers.